Early in the 21st Century, the US Government discovered the existence of vampires and sought to eradicate them. Thus began the Vampire Wars, killing thousands, and ended only by the triggering of a nuclear warhead. And now, after the Vampire Wars, the world must adjust to a new reality: one where vampires openly walk the streets, where lycanthropes prowl the urban centres, and where sorcerers tout their services from strip malls. In After the Vampire Wars, you play the creatures of the shadows: seers, fae, lycanthropes and, of course, vampires. Each species has its own special powers and abilities, and some possess formidable magical and psychic talents. After the Vampire Wars adapts the Mythras rules to the contemporary era and the urban fantasy genre. It supports a wide range of campaign types: from gritty Noir, to fast and deadly cinematic adventure; from whimsical urban fantasy to passion-fuelled paranormal romance. 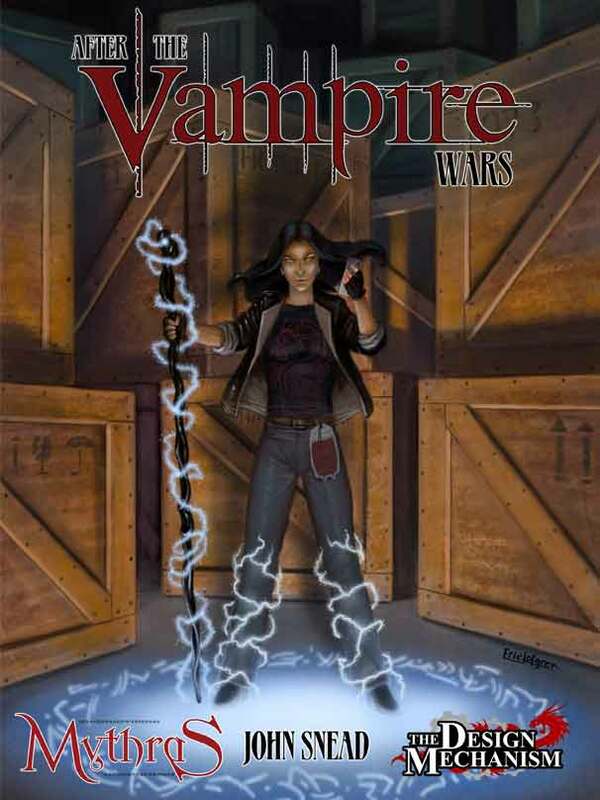 After the Vampire Wars gives you everything needed for Urban Fantasy adventure: background to the setting; character creation; powers and abilities; vehicles, firearms and psionics rules; plus lots of detail on running Urban Fantasy campaigns.